Detective Phil Lefebvre was a good enough cop, but distinctly unpopular around the Las Piernas (Calif.) Police Department. He didn't get together with his buddies on the force to booze, play on the department hockey team, or breakfast regularly at the Greenleaf. So when young Seth Randolph, a material witness in a homicide case, was murdered, a certain anonymous phone call got a lot more credence than it ordinarily might have. Lefebvre was a dirty cop on a gangster's payroll, the tipster insisted—and he'd killed Seth because the youngster knew damning things about racketeer kingpin Whitey Dane. And then suddenly the unconvivial Lefebvre was nowhere to be found. He must be on the lam, conventional wisdom maintained, headed for Mexico in his private plane to spend his ill-gotten gains. Ten years later, Detective Frank Harriman, married to reporter Irene Kelly (Bones, 1999, etc. ), finds himself in the San Bernardino mountains checking out a downed Cessna. At the controls is what's left of Phil Lefebvre. Soon enough, evidence indicates that his engine was tampered with, that the alleged murderer was in fact murdered on the very day he was last seen in Las Piernas. To Frank, whose LPPD tenure began after the scandal, it's obvious that Lefebvre was framed. To his colleagues, the fresh breeze Frank represents is about as welcome as a tornado. But Frank bears down anyway and does what he must to clear Phil's name. 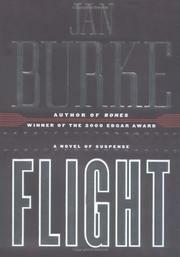 A little too long—not unusual for this writer—but Burke remains one of the best pure plotters in the business.